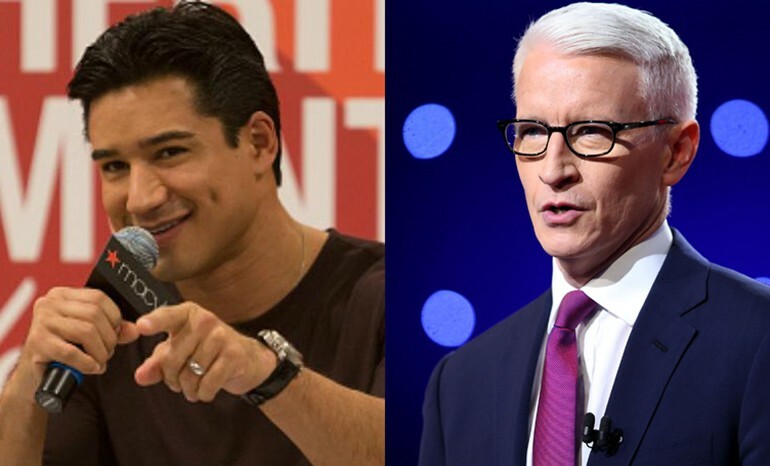 Are Mario Lopez, Anderson Cooper Competing For Michael Strahan's 'Live! With Kelly Ripa' Job? The past two weeks have been a total whirlwind for “Live!” co-hosts Kelly Ripa and Michael Strahan, who are now parting ways. Apparently, the network broke the news to Ripa in such an abrupt manner that she refused to go on the show for a few days and instead celebrated her 20th anniversary with husband Mark Consuelos. Now, the question on everyone’s mind is who will replace Strahan? Rumors that “Extra” host Mario Lopez could take over are running high and CNN anchor Anderson Cooper is also said to be giving it another shot, after previously trying to get the gig but instead got his own morning show that was promptly cancelled. As for Cooper, he paid a visit to his pal Andy Cohen on “Watch What Happens Live,” where he was asked about the rumors that he could be the next “Live!” host. "Look, I’m very happy at CNN,” Cooper explained. “It would be a dream to work with Kelly, but nobody’s offering anything, so...” However, these two pals reportedly have some advantage in the game since Ripa mentioned she would love for either Cooper or Cohen to take Strahan's place.